As promised, here is the secret that I’ve been holding back from you for so long. It’s been all boarded up in my heart, protected. But now it’s time to share it so you can create the kind of love you dream about. WANNA WORK WITH ME? Click here to book a Relationship Magic session or a program. <3 I can’t wait to work with you! 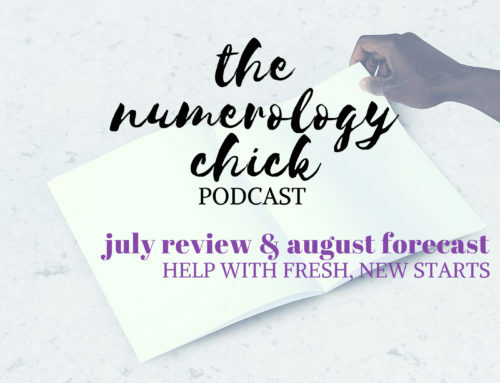 #27: December 2017 Numerology Forecast: Their Obstacles Becoming Yours? Why haven’t I gotten over my high school crush after 20 years? He’s the one I compare every other guy to. Help me out here, Nat. Ohhhh what a great question! I have it written down! Nat, this subject means so much to me too. I have been on a quest to Understand relationships and the inner workings of romantic relationship as I’m 4 years divorced and i still believe in Great love but I’ll be honest. Lately I’ve been questioning am I being overly optimistic as a double 3. Life Path and Expression number.. like, what gives. My ex hubs and I did “everything right” and only made it 10 years of marriage. 4 years later I still single with a boat load of lesson but No one to share my life with.. it’s a bit comical to my loved ones.. no one who loves and knows me can grasp why I’m single. Me either. Recently I’m was wondering does introvert vs extrovert have anything to do with balancing and harmonizing romantic relationship. I’ve been wondering what gives.. what’s the secret sauce..
I’ll admit that I’ve ran from and let go of men that weren’t “like me”..
More recently I’ve set an intention to further explore a relationship with an extrovert or someone unlike me to see if there’s something there.. something to it. Go figure I’m a double 3 introvert.. I very excited to hear you cracked the code on this. I totally agree with this, having a companion to share your life, world and joy with is the seasoning salt of life. Poppyyyyyyyy! Oh my gosh… that quote is awesome. And I think you and I are definitely onto something. You are meant for great love. It just might be that you need to join me on this quest of translating other people’s love code, while we honor our own. P.S. You’re awesome. Thanks for being here. Nat! Thank you for this! Im a 11 lifepath 4 heart desire , and ive had a crush on a man for a long time now, he is also an 11 lifepath and a 9 heart desire nr. It feels like he likes me to but he is not single…. What can the Numbers help me regarding how i should do? I just don’t know what to do, the plan ( in my head) goes out the window everytime i see him!! Charlott – thank you so much for this question. What do we do about the crush, right? Especially when the crush seems out of reach or unavailable somehow. Grateful for you being here – and I have this added to my list. more and your words resonate with me. I have been taking this online happiness class “The Science oF Happines” and the lesson I just listened to before listening to you, was almost exactly the same. Basically it starts when we are babies and the connections with our care givers and family along with other factors, etch into us, and later affect how we will love as adults. I often feel great in the beginning of relationships and marriages, then along the way, months or years later, asking myself where I stand, how I “fit in” to this relationship. There is definitely a disconnect there. I often find myself “chasing after the unavailable ghost in the room.” It’s daunting. 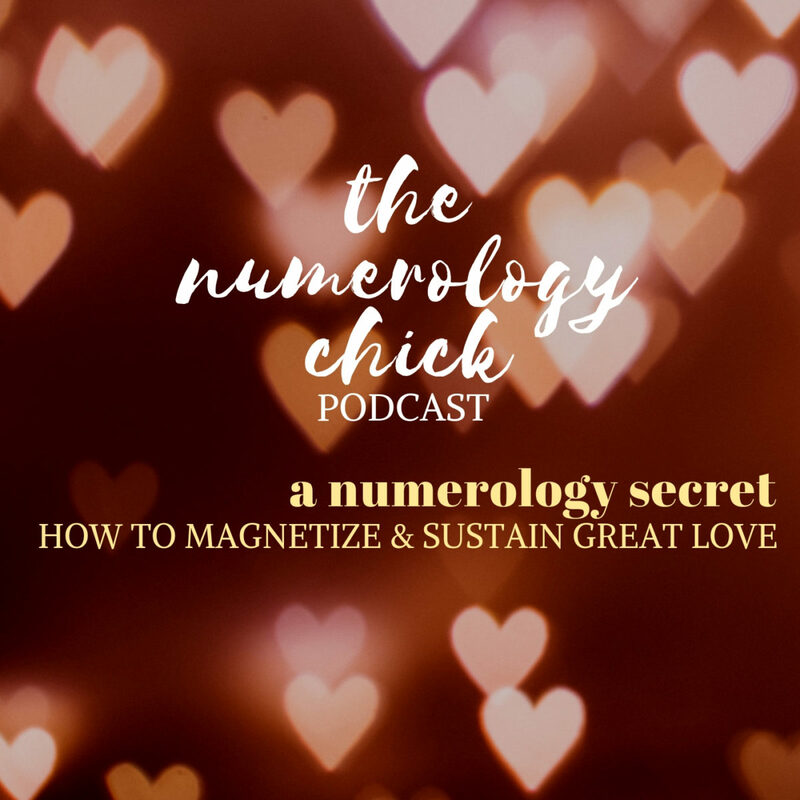 I look forward to learning more about my numbers and what my love language truly is. You’re not alone in this, girl. When I publish an episode on Phase 1, pay special close attention. It is the remedy to what you are talking about (and what I and my clients have experienced, too). <3 Big hugs. Your timing is always impeccable. I was just thinking that maybe I would be alone because I’m different. And, I was beginning to believe that maybe there just were not men available who could meet my expectations. And, I was about to accept that, until your ‘right-on-time’ message. Thanks for being such a delightful and passionate speaker. We have been so busy with the miraculous growth and healing (and having fun!) that it took me until tonight to listen to this podcast. You know, truth and wisdom is one aspect of your amazing message. I just know that the greatest aspect to your calling and purpose is you. You carry this message in a prepared vessel. Your story of the shock, the study, the search and the years of dedication to learn about love leaves me in awe of what is happening to you! You are a chosen one. Being a follower of you makes me realize how a blind man healed by Jesus must have felt. How he kept following and learning even after the healing. You know how amazing all this has been for me and my wife. Miracles every day. I haven’t told you all of it. The world needs you, Natalie! You are the real deal! I want to grow with you and discover how to love everyone in my life..
i want to encourage everyone who reads this to be close to you Natalie and receive your gifts fully. I remember our first session and how I tried to take your advice the first time and stumbled. You stuck with me. I encourage everyone to stick with you because you will stick with them and see them through their commitment to sessions with you. I want the world to beat a path to your door Natalie. Your message is the greatest one of all. It is the message to a floundering world desperately looking for true love!!! YEP, that is all of us!!!! I am standing up for you because I totally believe in you and your gifts and your love for us! I Love YOU BACK WITH ALL MY HEART!!!! WHAT ON EARTH DID I DO TO DESERVE YOU AS A CLIENT??? I truly enjoy your podcast. You always seem to have the right message at the perfect time. In regards to relationships, I have been struggling with trusting my partner. I haven’t connected with or cared for any man in my past as much as I do him. Honestly I believe my fear is that I’m going to lose him. And if I continue to behave in ways that show my distrust that fear might come true. How can I build trust within myself for a healthy relationship ? oh my gosh. Such a freakin perfect question. Thank you. Nat- I don’t comment often but you should know that I listen to your podcast all the time and you seem to live in my world- everything you say applies to me all the time. I’m recently separated after learning about his infidelities. We were together for 28 years, married 23. He’s a broken individual and I’ve been waiting for him to heal all these years. I was patient (more than I should have been) and wanted nothing more than a close relationship but he had walls and fear. It’s been a long two years but A new discovery forced the separation. I’m strong and know I’ll be ok, don’t get me wrong, I’m devestated and going through the healing process, but I am interested why I give so much in relationships. I’m a LP 2 (11/2 actually) and so I know I’m all about love and bringing balance to partnerships but what number will balance ME? (Ex is a 4 but lived his shadow side not the 4 potential). I really needed to hear your words because I am so stuck, I am so tired of not understanding why me? I am in a second unhappy marriage and I start to understand now that I did wrong choices because I let my ego to decide. None of them were or is a bad guy but we just don`t match, we don`t have the same energy level and the same awareness. I always wanted to find true love, passion, the man who can love me sincerely in all possible ways, to vibrate at the same level, to make me feel alive but I ended here in a cold marriage feeling that I am dying inside. My husband is more as a friend, as a father, not a husband. Will I be able to find true love ever in my life or I have to accept that maybe I am not the one who suppose to experience true love in this lifetime. Thank you so much for you being you Natalie! You are doing such great work! Thank you so much! Ohhhh, Cornelia. Thank you. Got it.